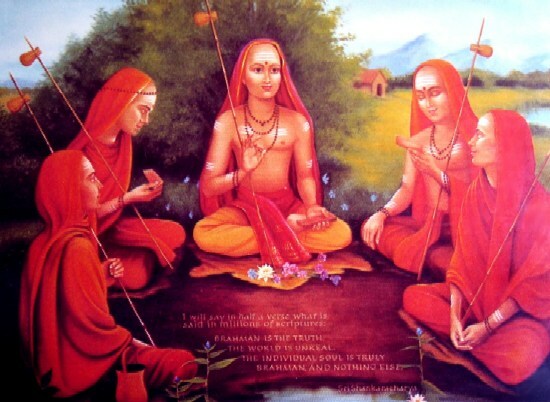 Shankara Jayanti is the annual celebration of birth and life of Sri Adi Shankaracharya who lived several hundreds of years ago in ancient India. Shankaracharya is a great hindu philosopher and most important teacher of the advaita philosophy. He made numerious commentaries on the upanishads, the bhagavad gita and the brahma sutras. On this auspicious day for some years now, acharya Sadaji provided pravachanams on Shankara and advaita. Using the audios linked below please listen to Sadaji’s pravachanams, chinmaya mission members’ pooja and chanting followed by aarathi. Please leave comments and ask questions as you may wish here.